We use FlightGear as a visualizing environment for our own flight dynamics model. We have been using a very old version on Windows XP (0.98, iirc). We need to move to Windows 7, and we don't have enough staff to do the work in house - we'd be interested in fielding quotes for some assistance in this project. what exactly do you need, a pre-built Win64 binary ? 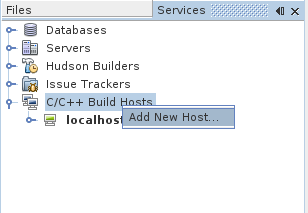 If you need a custom build with a repeatable setup, you may want to consider setting up your own build server. If you are looking for someone to do FG related contract work, I'd suggest to get in touch with poweroftwo (Jeff Biggs/Simperative.com) who's recently implemented osgEarth support for FlightGea, and also provided pre-built binaries for Windows. I have, in fact, gotten in touch with Jeff (really small world, we've worked together!) and we're getting things sorted out. Just as background - we need to be able to modify a couple of things in the FG project to allow us to pipe in information from our own flight dynamics model. This approach has been working for us for years, and now that we need to go to W7, I need to be able to build FG from source. It's not a small task and I just don't have staff/time for my current schedule. I appreciate the help and with Jeff helping, we're good to go here - thanks!